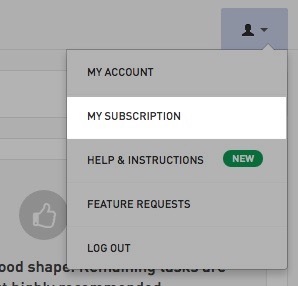 In the top right drop down menu, select My subscription. 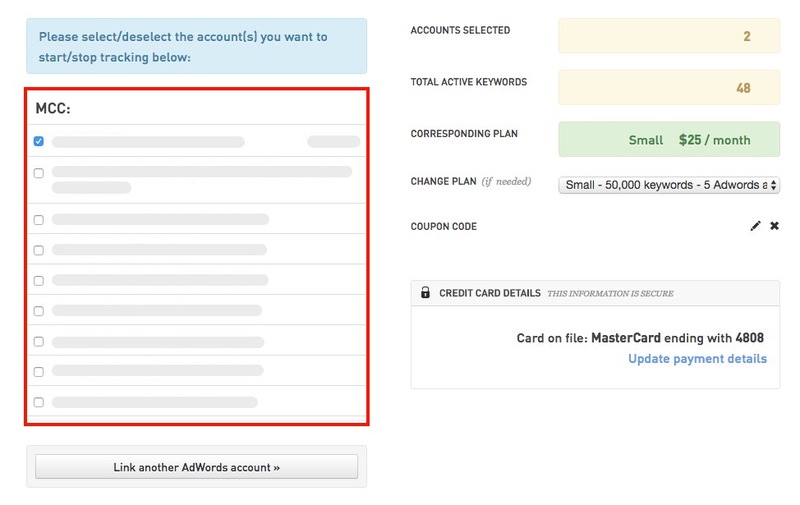 On the subscription management page, the left box lists all the Adwords accounts that are accessible from within Tenscores. The ones that are selected are active and being tracked. The ones that are not selected are not being tracked by Tenscores and they are not counted towards your subscription plan. 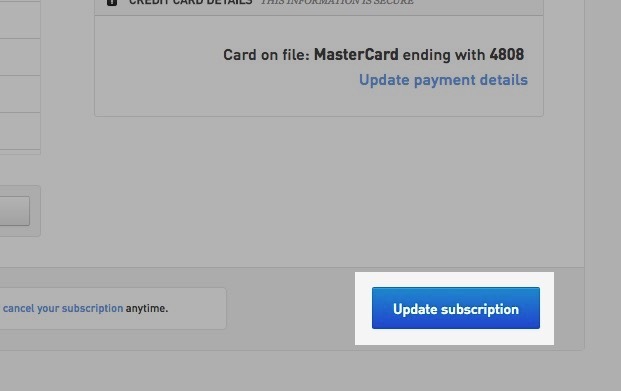 In order to active a new account, simply select it then click on the "Update subscription" button in the lower right.